Dr. Hallowell and Rob Himburg have created a one-of-a-kind weeklong camp for families with children ages 8 to 18. Now in it's 14th year, parents participate with Dr. Hallowell in highly interactive, discussion-based seminars, while children work and play with Rob in highly experiential, adventure-learning programs. The combination of these parallel programs have had exponential growth effects for families - transforming past patterns and opening the way for better communication, understanding, and connection. In fact, these programs have been so helpful that, based on camper feedback and demand, we are thrilled to now offer two simultaneous camps for new and returning families! New campers thrive from a more structured curriculum, while returning campers process their post-camp experiences and develop new skills. From childhood through adulthood, ADHD can present both difficult dilemmas as well as unique opportunities for change, growth, and success. Dr Hallowell's goal is to help people master the power of ADHD while avoiding its pitfalls. When ADHD diagnoses emphasize what is wrong, people start to regard themselves with negativity including shame, fear, and self-doubt. When ADHD treatments begin, however, with efforts to identify what is good, useful, and powerful, people start to regard themselves with positivity emphasizing their strengths and unique gifts and encouraging acceptance, courage, and authenticity. When explaining ADHD to a child, Dr Hallowell says, "You have a turbo charged mind - like a Ferrari engine, but you have the brakes of a bicycle. Don't worry, though, because Rob and I are brake experts." When ADHD is properly treated, the person can fulfill their dreams and succeed in whatever ways their talents lead them. Many doctors, lawyers, CEO's, inventors, actors, writers, explorers, entrepreneurs, and innovators in diverse fields all have the trait so misleadingly called ADHD. Interweaving introductory information with advanced material based on a strength-based approach to diagnosis and treatment, these seminars will show you how to unwrap the gifts of ADHD and help yourself and/or those who have it to succeed at the very highest of levels. **Please note: All camp meals are served at The Leelanau School whose kitchen seeks to showcase the variety and freshness of the local growing area. All meals include hot and cold selections in which they try to cover a variety of dietary needs, including gluten and dairy free. Breakfasts typically include a granola and fresh fruit bar, a bread and bagel bar, and a variety of hot protein selections. Lunch includes a salad and sandwich bar, in addition to hot vegetarian and meat options. They use local greens, vegetables, meats, fruits and grains whenever possible. Please note they are not a nut or gluten-free kitchen and cannot confirm a contamination-free environment, but they do take precautions to keep these ingredients from cross contamination. A one-of-a-kind experience for parents and children with ADHD! Detroit Free Press touts Glen Arbor as one of the top places to visit in Michigan! "This experience was fantastic for both my kids and myself. We all learned so much and enjoyed meeting the other families and spending time in such a beautiful setting." "It was a fantastic experience and will foster deep discussions with my son regarding his ADHD for a long time to come." "This camp has truly been eye-opening and life-changing! Thank you for helping us unwrap our ADHD gifts!" Each morning from 9 – noon Dr. Hallowell (Ned) will convene a session with an unusual format. On the first morning, Ned will ask the participants what they want to learn about during the week, while offering suggestions as to what he thinks would be most useful. Then the group will design the didactic part of the curriculum based upon their own needs and desires. The range of topics Ned can cover in the didactic elements spans all of ADHD, from the history of the condition, to the steps toward diagnosis, to co-existing conditions, to dealing with family turmoil, to medication, to the various components of non-medication treatments, to new findings from neuroscience like the default mode network and its impact on ADHD, to addiction and ADHD, and many, many more. In addition, for part of one morning Ned’s wife, Sue, a clinical social worker who specializes in couples work, comes in and speaks on couples and ADHD. Ned will conduct the two-hour afternoon sessions with returning parents like a graduate level seminar, but far more personal. At the beginning of the first session the group will identify the topics they want to cover, and then a schedule will emerge. We will cover as many of the topics as possible without resorting to dumbing-down or over-simplification. We will also draw upon the special knowledge members of the group may have and invite them to share that knowledge. As in the morning, Ned will invite participants to personalize all the material by relating it to what’s going on in their own lives. Nothing is off limits or too personal. The group will soon become close and warmly connected, while at the same time suffused with knowledge. It makes for a wonderfully memorable combination. Rob and his team of teaching specialists will lead daily learning adventures with students in and around the area. From kayaking a local river to meeting like-minded entrepreneurs to learning mindfulness skills, students will explore and discover new awareness of their potential through engaging and meaningful social experiences. Drawing on twenty years of experience as a school director, counselor, coach and teacher, Rob brings expert knowledge and skills to working with students who are intelligent, creative and unique learners. Rob and his team guide students through adventure learning experiences designed to foster emergent self-awareness and connection to others and place. The process is rooted in a personalized, strengths-based approach to understanding intelligence. Building strong connections through fun and challenging learning adventures, students explore new ways of understanding their passions and intelligence and learn how to apply it to their lives. Learning adventures bring students outside the traditional classroom setting to observe, practice and learn in the dynamic environments around them. Learning is accelerated when students are immersed in environments that foster collaboration, creativity, critical thinking, empathy, and resilience. Students love the Hallowell camp teachers for their unconditional regard for student’s well being combined with a highly individualized plan for developing the academic and social skills students are looking for. Growth: building and sustaining a growth mindset for learning with an eye toward developing a benefit mindset. 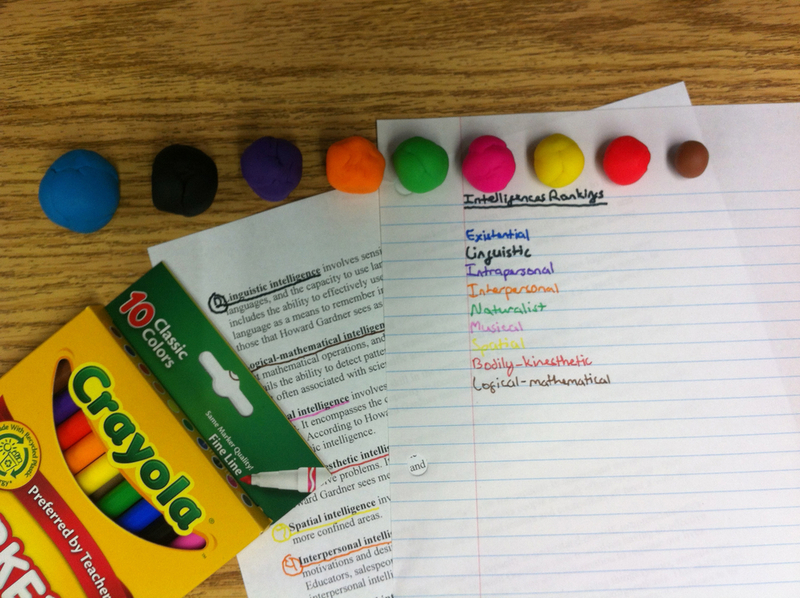 New Activities: designed to help kids learn and enjoy how they learn. Returning Campers may have flexibility to participate with new camper activities as determined by parental approval, desire, skill level, and potential for becoming a volunteer helper or mentor. 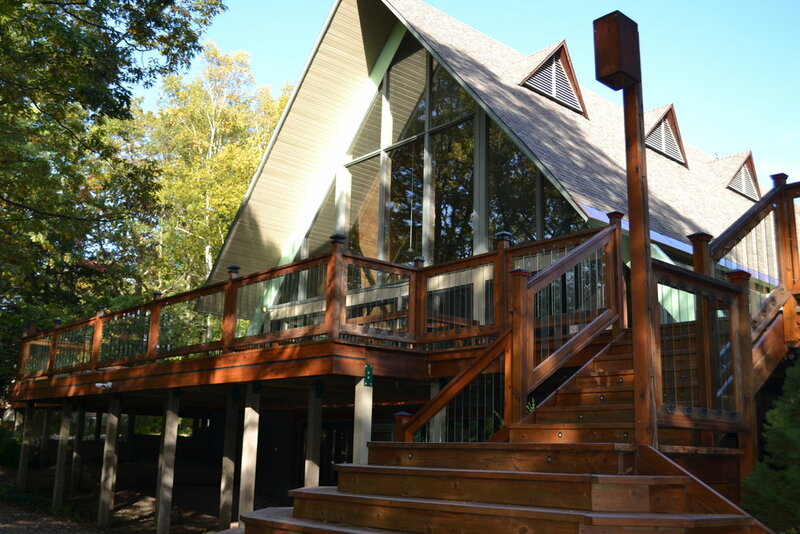 The Leelanau School is located on the beautiful freshwater beaches of Lake Michigan with the Crystal River flowing through this special property. 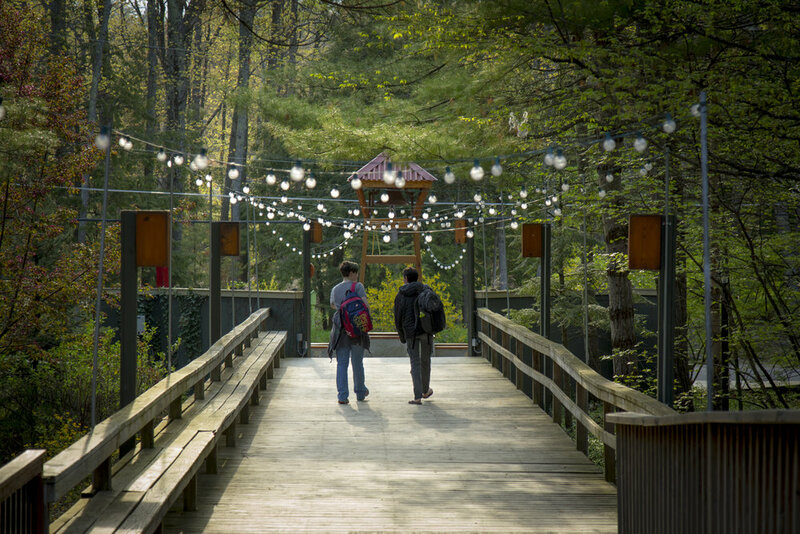 Not your typical boarding and day school, Leelanau offers students grades 9-12 an experiential learning program where integrated learning support, individualized attention, small classes, and a commitment to whole-person wellness are at the center of what they do. 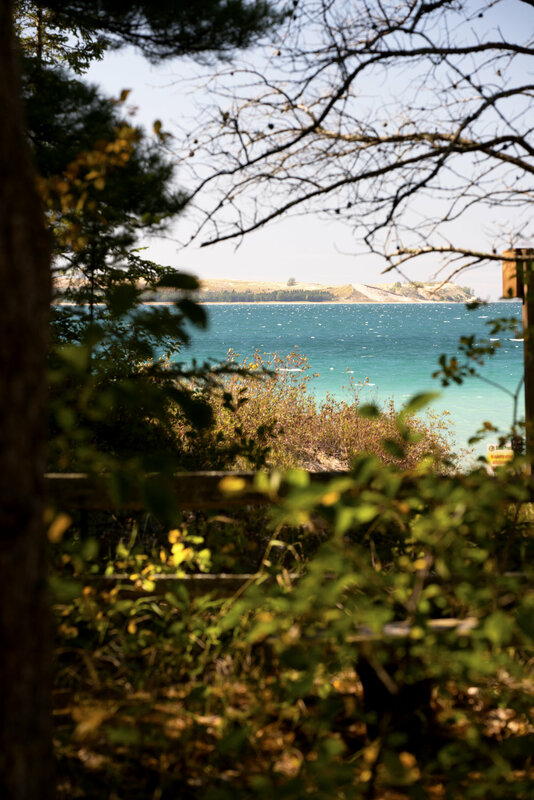 Leelanau's rich, supportive environment is a haven for intelligent and creative students and is particularly beneficial for students with ADHD. We will dine and meet at The Leelanau School in an environment committed to helping students discover and develop their strengths, as well as cultivating a school where students know and embrace themselves as learners - no matter how they learn. Leelanau is located just north of the town of Glen Arbor and are neighbors to The Homestead Resort. 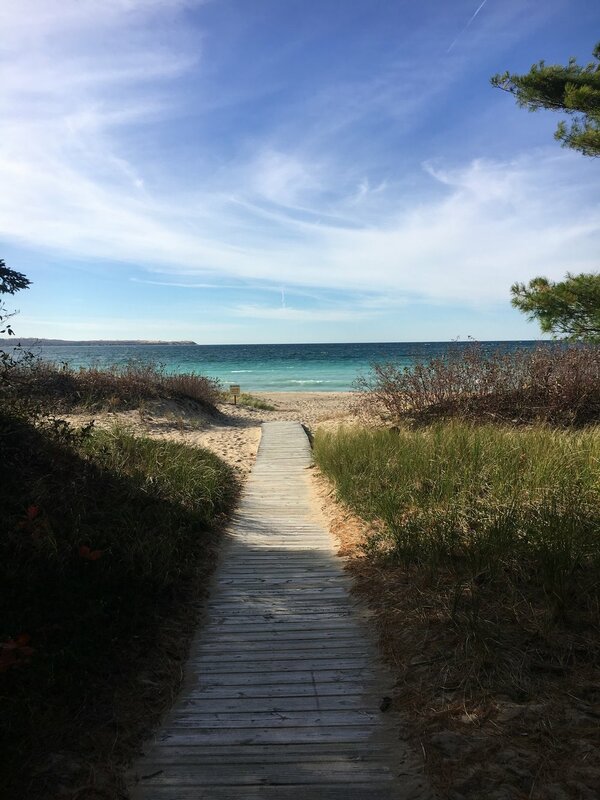 As if the incredible programming is not enough to fall in love with this camp, Glen Arbor and Traverse City, as well as the many quaint little towns in the area, offer a number of accommodation options. From dorm rooms to a fancy resort, to small boutique hotels, bed and breakfasts, local inns, weekly vacation rentals, and campgrounds, there are a number of choices to fit your tastes and budgets! 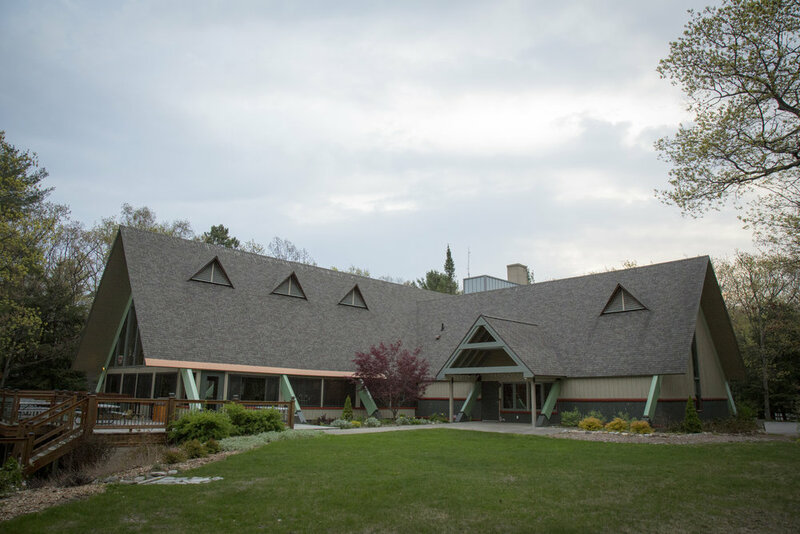 The Leelanau School has dorm-style lodging with two options, both with access to a common area for coffee and light meals, as well as television and other common-area amenities. Option one is a private room with two twin beds that shares a community restroom, and option two is a two-room suite with four twin beds that shares a Jack and Jill restroom. Each room sleeps two individuals max, unless a child is under the age of 3 and is sleeping in a pac-n-play. Pillows, Linens, and Bath Towels are provided. Rates for each room are $125 per night. 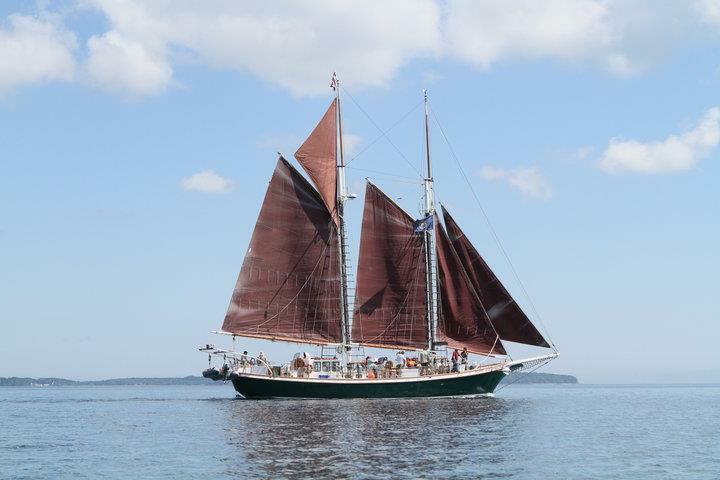 For reservations, call Rob Dymond, Leelanau Head of School, at 231-334-5812, or email him at RDymond@Leelanau.org. The Leelanau School is about 30 miles away from Traverse City, MI and the Cherry Capitol Airport (TVC). The airport has several ground transportation options including car rental companies and a shuttle service called Blue Lakes By the Bay. It's a beautiful drive from Traverse City to Glen Arbor through lush farm lands and by beautiful green lakes, so enjoy the trip! Please note siblings age eight through eighteen who do not have ADHD are welcome to register and participate in camp! For families with children ages seven or younger who are not yet old enough to attend youth camp but both parents want to attend adult camp, a babysitting service may be an option. Although Hallowell Summer Adventures nor any or all of its staff and associates cannot be held liable for services used, we suggest considering www.Care.com to help you find a qualified sitter. They provide profiles along with references and reviews for possible sitters, and some staff has had personal experience using them with success. Fees may apply and liabilities for hiring a sitter are strictly between you, Care.com, and the sitter(s) you may hire. A one-of-a-kind experience with memories and new knowledge that will last a lifetime! Please choose the "quantity" to match the number of family members attending, and complete the Family Registration Form to process your payment. We are so excited to meet you and your family! Click REGISTER HERE on the right, or if you have questions or want to mail a check call Sue Hallowell at (781) 820-0881. Please note at least one adult must attend camp for every one or more children attending camp, and that children attending youth camp must be 8-years of age or older. Please also note if an adult couple wishes to alternate attendance at the adult camp, they may do so with one registration fee; however, if both attend one or more days together then two registrations are required. *Please note: The Leelanau School kitchen seeks to showcase the variety and freshness of our local growing area. All meals include hot and cold selections in which we try to cover a variety of dietary needs, including gluten and dairy free. Breakfasts typically include a granola and fresh fruit bar, a bread and bagel bar, and a variety of hot protein selections. Lunch includes a salad and sandwich bar, in addition to hot vegetarian and meat options. We use local greens, vegetables, meats, fruits and grains whenever possible. *Please note that we are not a nut or gluten-free kitchen and cannot confirm a contamination-free environment, but do take precautions to keep these ingredients from cross contamination. $100 of the registration fee is non-refundable. If cancellation occurs by May 31st, 2019, all but $100 will be reimbursed. If cancellation occurs between June 1st to June 15th, 2019, 50% less $100 will be refunded. Registration fees are non-refundable after June 16th, 2019. 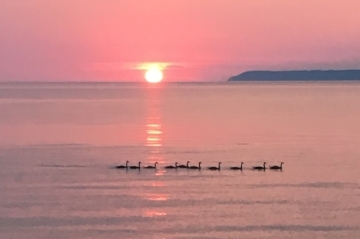 Another one-of-a-kind experience with extra time to enjoy more of the Glen Arbor area, make more memories, and gain new knowledge and skills that will last a lifetime! Please choose the "quantity" to match the number of family members attending, and complete the Family Registration Form to process your payment. We are so excited to see you all again! Click REGISTER HERE on the left, or if you have questions or want to mail a check call Sue Hallowell at (781) 820-0881. Meals will be served at The Leelanau School and include 5 breakfasts, 5 lunches, 1 dinner, and 1 reception, and must accompany at least one camper registration. Please choose the "quantity" to match the number of family members joining us for meals only, and complete the Meals Only Form to process your payment. We look forward to seeing you! Please note: The Leelanau School kitchen seeks to showcase the variety and freshness of our local growing area. All meals include hot and cold selections in which we try to cover a variety of dietary needs, including gluten and dairy free. Breakfasts typically include a granola and fresh fruit bar, a bread and bagel bar, and a variety of hot protein selections. Lunch includes a salad and sandwich bar, in addition to hot vegetarian and meat options. We use local greens, vegetables, meats, fruits and grains whenever possible. *Please note that we are not a nut or gluten-free kitchen and cannot confirm a contamination-free environment, but do take precautions to keep these ingredients from cross contamination. Non-refundable seven days prior to the event. Edward (Ned) Hallowell, M.D., is a child and adult psychiatrist, a NY Times bestselling author, a world-renowned speaker and a leading authority in the field of ADHD. He was a faculty member at Harvard Medical School from 1983 to 2004, graduated from Harvard College and Tulane School of Medicine, and is the founder of The Hallowell Centers for Cognitive and Emotional Health in Boston MetroWest, New York City, San Francisco and Seattle. These Centers offer comprehensive mental health diagnostic and treatment services to patients and their families. He is the host of “Distraction,” a weekly podcast that offers insights, strategies and tactics for coping and thriving in this crazy-busy, 24/7 over-connected modern world. Following the launch in 2016, the show immediately appeared among iTunes’ list of New and Noteworthy podcasts, and it consistently ranks in the top 10 percent of some 300,000 podcasts in terms of weekly downloads. He has authored twenty books on various psychological topics including attention deficit disorder, the power of the human connection, the childhood roots of happiness in life, forgiveness, dealing with worry, and managing excessive busyness. Dr. Hallowell’s most recent book, Driven to Distraction at Work was published by Harvard Business Review Press in January 2015. His Memoir, Because I Come From A Crazy Family The Making Of A Psychiatrist will be released on June 12, 2018. Dr. Hallowell is a highly recognized public figure who has been interviewed for his expert opinion on every major TV show including Oprah, Dr. Oz, Good Morning America, Today, Dr. Phil, 60 Minutes and CNN and many leading publications including The New York Times, Newsweek and Time Magazine. Dr. Hallowell’s practices his trademark strength-based approach and always comes across as genuine, humorous, transparent and passionate whether he is practicing working with clients in the Hallowell Centers or addressing a wide range of topics in his writings and public appearances. Rob Himburg earned his undergraduate degree in Psychology from Michigan State University, then went on to a master’s program in Rehabilitation Psychology at Appalachian State University. He began his career at the Charles Armstrong School in Belmont, CA where he directed the counseling department, created an outdoor education program and coached football, basketball and soccer. 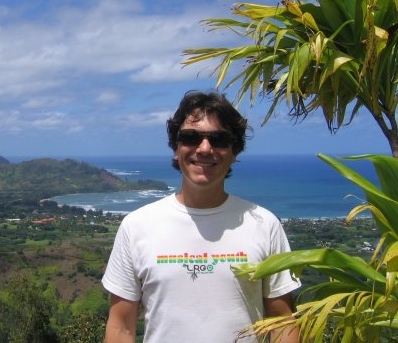 From 2005-2013, Rob led the academic program at The Leelanau School as Director of Education. Guiding the school through the creation of a strengths-based experiential learning program, Rob’s vision and innovation helped put Leelanau on the map as one of the premier high schools for students with ADD, dyslexia and other learning differences. Currently, Rob is the Director of, Upland Hills School in Oxford, MI. Independently, Rob has designed and led dozens of learning adventures to Kauai, Costa Rica, the Sierra Mountains and sailing on the Sea of Cortez, Mexico. Rob has presented at numerous conferences and consulted for independent schools. When not adventuring around the city or from afar, Rob works remotely with students via Skype/FaceTime, phone and text. Today’s students appreciate the efficiency of connecting on their time and according to their needs. Sue George Hallowell, LICSW, attended the University of Virginia and Boston College. She has been a social worker for 30 years. She has been in Private Practice since 1984 and works with adults as well as doing much work as a couple's therapist. She was the Director of Inpatient Social work at Mass Mental Health Center, an Associate Professor at Simmons Graduate School of Social Work (adjunct) for 12 years and is currently the Clinical Director for the Hallowell Center NYC. She co-authored Married to Distraction, has appeared on Dr Phil, Dr Oz and the Today show as well as several radio shows. She is the mother of three children, is married to Dr. Edward Hallowell and practices at the New York Hallowell Center. See more on Sue, especially her work with couples and ADHD, here. Marise Rowell, LCPC, attended Tulane University, Auburn University, and Montana State University. She is a Licensed Clinical Professional Counselor in the state of Montana, and a Senior Staff Counselor for Montana State University's Counseling & Psychological Services. Her specialties include working with ADHD, depression and anxiety, shame resiliency, substance abuse, mindfulness, and bereavement. She has experience working as a program director planning camps for families battling cancer, as well as experience working with families facing dementia, and over 15 years in the hotel industry. She also holds an M.A. in Communications with a focus in Training & Organizational Development, and has experience customizing trainings for businesses and organizations. Marise is currently undergoing a 200-hour Yoga Teacher Training, which she plans to have completed prior to camp. As well as professional experience with ADHD, Marise has personal experience with herself and her daughter, and looks forward to working with Ned, Sue, and Rob in helping other families learn to thrive with ADHD!